They're also beautiful, challenging, messy, uplifting, transformative, confusing and awe-inspiring all at once! I've been in a wonderful relationship for over 6 years now but I can almost guarantee that I wouldn't be in it had I not read this book over 5 years ago. In fact, every time we are faced with an obstacle, I turn to this book, again and again. It has never failed me! The book is The Mastery of Love by Don Miguel Ruiz and I so badly wish it was a mandatory read for all couples! I'm not exaggerating when I say that this book changed my life and the way I interact with every single person I come across. I've re-read it at least 5 times and on Thursday, I'll begin re-reading it all over again! Want to read it with me? This Thursday is the New Moon, which means our Lunar Yoga community is beginning a brand new theme of Love & Relationships and we'll be reading The Mastery of Love together as part of our monthly book club. This new theme is about the relationships we cultivate with our loved ones, spouses, family members and friends alike. What is your attitude towards love? What relationships need more care and attention? Which relationships are draining you of joy and optimism? This is what we'll be doing together and weaving into our yoga and meditation practices starting Thursday. Registration for Lunar Yoga has been closed for many months now, but I've opened it up for 24 hours before this Thursday's New Moon because I think the theme of Love & Relationships is one that has the power to help many people in a very tangible way. Lunar Yoga will take you on a 4 week journey to the heart through meaningful yoga classes, journaling exercises and meditations for the New & Full Moon. We'll also have a very special guest speaker interview, a live group call and discussions around the new book. To me, the true magic of this program is in our private Facebook group where you can connect and be supported by women from all over the world. We have truly created a beautiful community.. Dive deep and play an active role in your relationship as the powerful creator that you are. 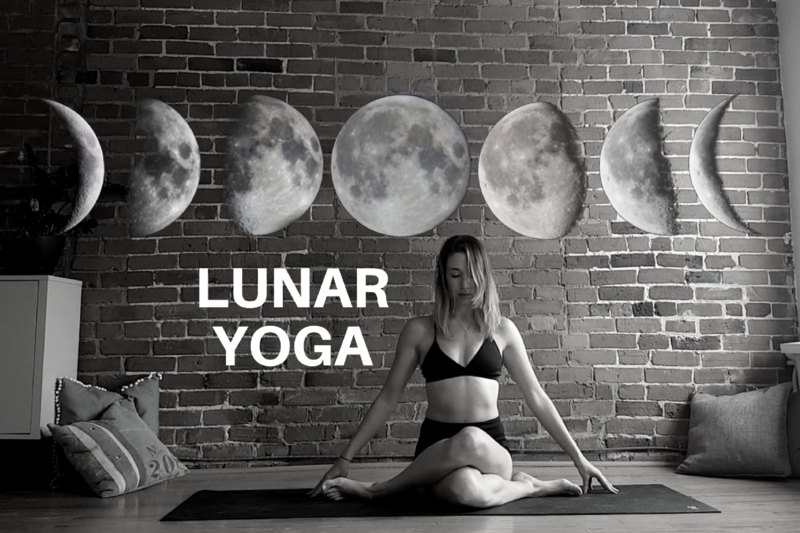 CLICK HERE to learn more about Lunar Yoga, registration is open for 24 hours only. I hope you'll decide to join us!